/ My travel trailer is prewired for Solar, now what? Many of the travel trailers from brands like Forest River, Airstream and Jayco are coming prewired for RV Solar. This implementation is called the Wired for Solar program. Our Go Power solar kits are designed to pair with the Go Power Prewire on these travel trailers. Many of these travel trailers are using the Go Power cable entry plate on the RV roof. 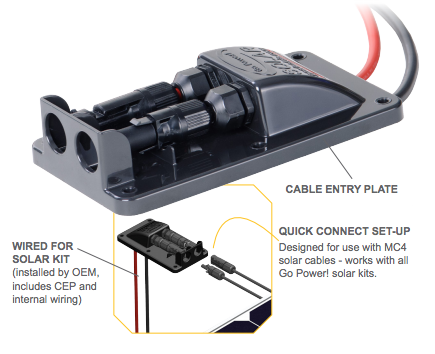 These cable entry plates make hooking up a Go Power solar kit a breeze. All that is left is mounting the panels, fusing the wire and installing the charge controller. Most of the hard work of running cables has already been completed by the factory. This can save as many as 5 hours off a standard install of solar panels on your travel trailer. Which panels are right for your travel trailer? There are 2 main types of panels that we have to match the Go Power prewire setups. These panels are rigid solar panels and flex solar panels. The flex panels can curve to match shapes on Airstreams while rigid panels have better warranties and are usually are a little less expensive. 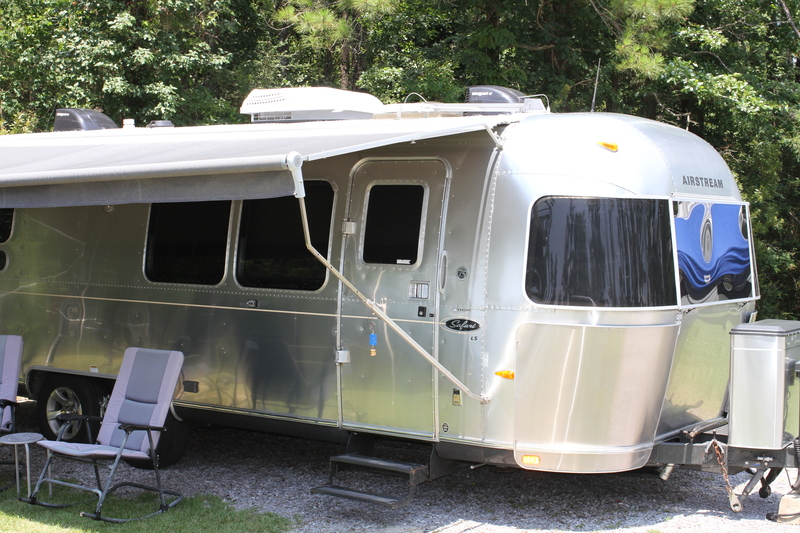 Depending on which travel trailer make and model you have will determine which type of panel is best for your needs.